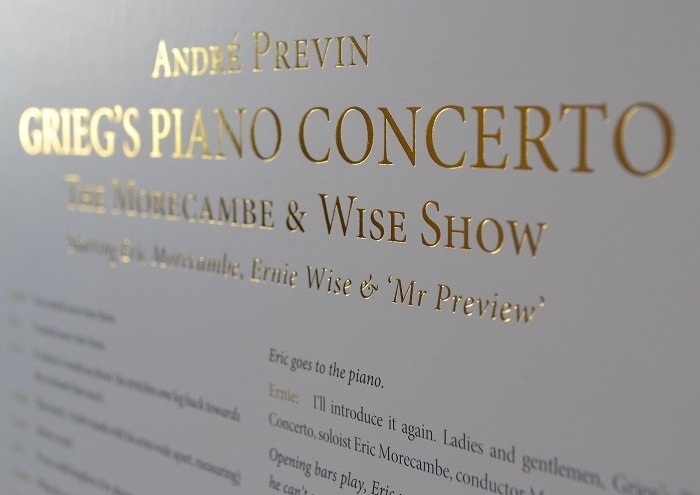 Grieg's Piano Concerto Number 1 Just released from our private collection number 1 of 500. 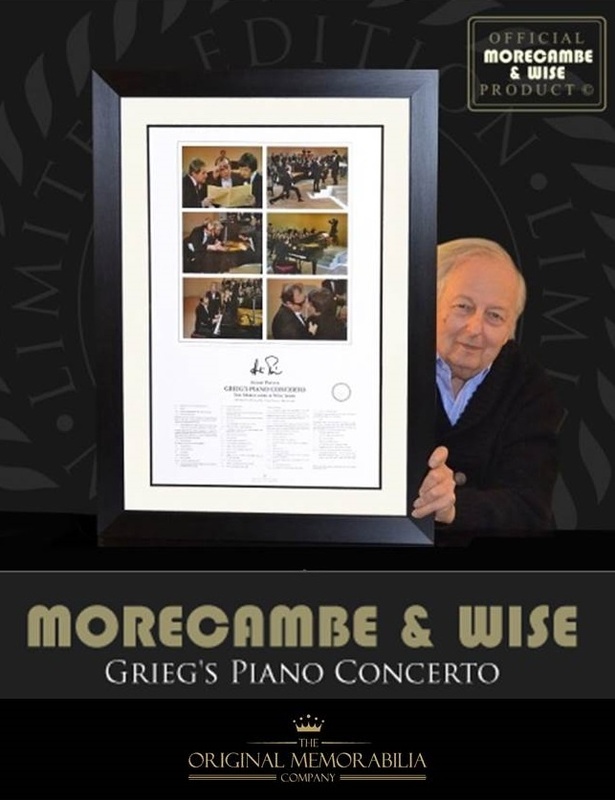 The most important and collectible lithograph from this official Morecambe & Wise limited edition. 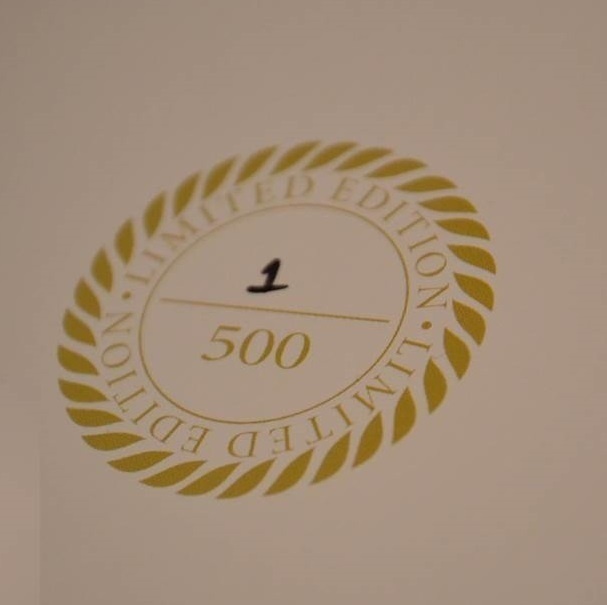 Just released from our private collection number 1 of 500. The most important and collectible lithograph from this official Morecambe & Wise limited edition. Eric & Ernie's greatest ever sketch now immortalised in this stunning signed and official Morecambe & Wise collectable lithograph produced to art quality standards. For the first and only time the Morecambe & Wise Estate and André Previn have authorised the production of this wonderful limited edition. Beautifully presented with 6 BBC screen stills and 88 brilliant lines of official script extract including the immortal line from Eric to André Previn "I'm playing all the right notes...but not necessarily in the right order. I'll give you that sunshine!" 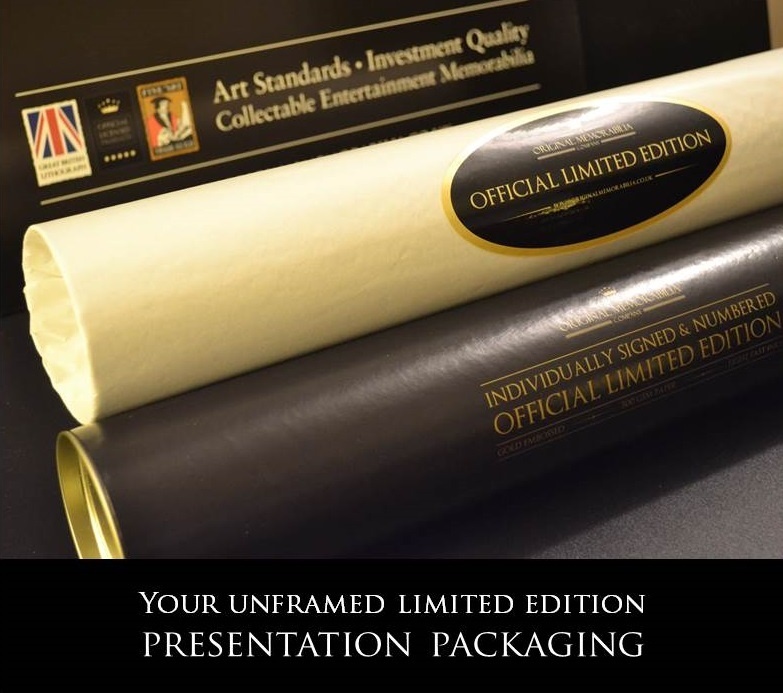 This is a fully authorised and approved Morecambe & Wise limited edition commissioned and published by The Original Memorabilia Company. 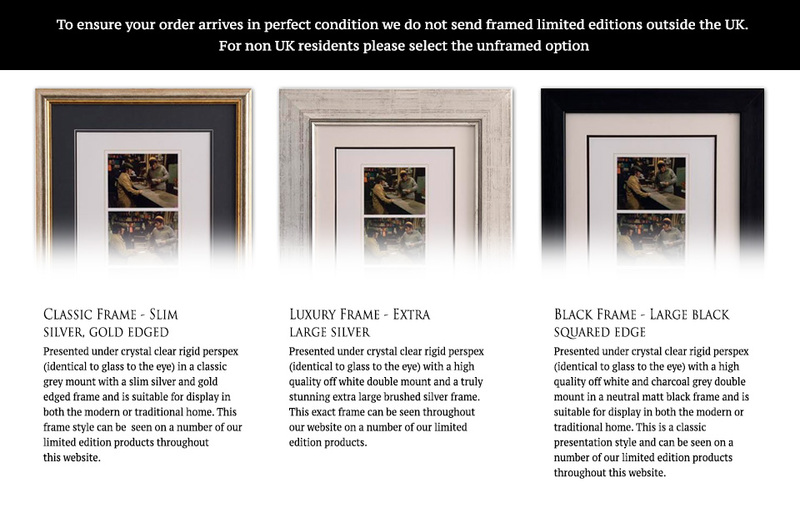 Full copyright information is discretely credited on each print. 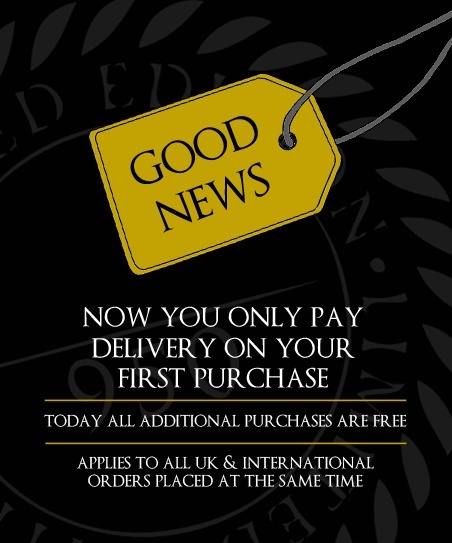 Printed to art quality standards using light fast inks and gloss varnished images on heavyweight archival quality ISO9706 approved 300g stock, each large hand numbered lithograph print has the title embossed in gold block giving a gold leaf finish to your purchase. 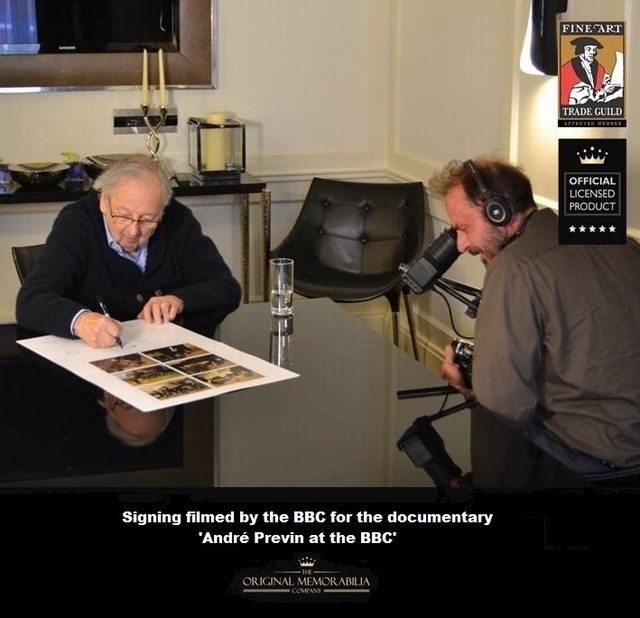 Every single print in this edition has been individually and personally signed by André Previn in high density black in.